SysTrayMeter allows you control the usage of processor and RAM memory at any given time. 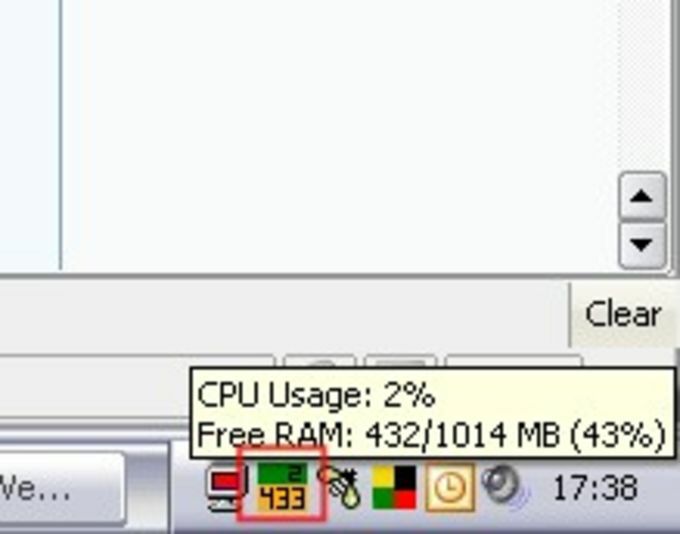 You don't have to click anywhere or open any window: just look at your system tray and there you'll see a small colored icon showing those values. Also, hovering your mouse over the icon displays some extended data. This small tool doesn't require any installation and given its tiny size, it hardly uses system resources, so you may leave it working in the background. As CPU and RAM usage varies, you'll notice color changes which makes the information easier to track. While this may be enough for users who just want to have a look at CPU and RAM resources from time to time, it falls too short of other similar applications that offer more system data and a wider selection of elements to control. SysTrayMeter (STM) is a little freeware application that will add an icon to your systray, in which the CPU & RAM usage will be shown. Nothing very new indeed, but I’ve always wanted to have both those info available quickly every time I needed them, and never found what I was really looking for. Either it used a full sidebar and not only one single little systray icon, or it didn’t show what I wanted, or it used too much resources... so I made STM. Is it perfect? Probably not, but according to my needs, it does what it should, and does it better than any other applications out there. What do you think about SysTrayMeter? Do you recommend it? Why?